Our 2 dozen Blue Jays are very spoiled. 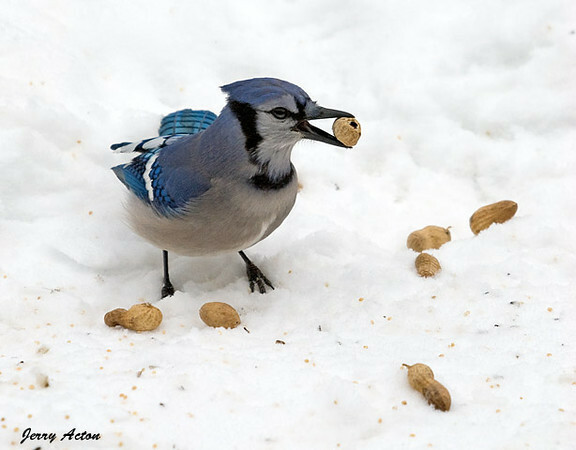 I put out a quart of unshelled peanuts every morning. Within about 10 minutes, they are all gone. After selecting just the right one, they fly off with them and stash them at their cache locations.